The Open House Enbridge is Throwing for my Birthday, I think. We have been really busy around our little homestead lately, a bit too busy to blog which should not happen, but I am not perfect. I am hoping folks are following us on Facebook, but in case you are not, there is going to be an Enbridge Shindig on Nov. 2nd at 6pm in two locations! I guess Enbridge didn’t learn the first time they did this in 2014 and this happened. So here we go again but likely without chairs this time. Chula Vista Resort Wisconsin Dells, same day, same place. I will be at Jefferson, because it’s close to home. I can’t imagine why they are coming at this time. Not much is going on, so I figure that Enbridge rented a hall on Nov. 2nd because it is my birthday that day, (a big one but I am not saying which) and they assumed I just didn’t have the cash, or the oomph to plan a party for myself. It was just so darn nice and neighborly of them to do this for me. Knowing they are such good neighbors, I expect they will get a sheet cake for 500. I like marble cake and buttercream frosting and I want a pastoral scene on it with the Rock River and drumlins depicted. Balloons would be nice…black is probably the choice of color…appropriate given my age and the nature of their business. Kind of like the ‘tar balls’ that floated down the Kalamazoo River in Michigan. The pipeline is underground, so, we don’t need it on the top of the cake. Just don’t tell anyone it is there. OK? Watch where you bite into your piece of cake. I’m thrilled that the KXL won’t be built, at least not in the near future. That said, it’s important to keep the celebrating to a low roar. In my neck of the woods, while the nation was fighting KXL, we have gained TWO KXL sized lines. Pipeline 61 is about to be boosted to 1.2 million barrels from its original 400,000 barrels per day of Dilbit. Worse yet, its Twin, what we believe to be Line 66 is being planned. It will carry at least 800,000 barrels per day (could be more) of a variety of different ‘crude’ which could mean Bakken oil or Dilbit. Yet how much news coverage have we gotten here in the Great Lakes? Virtually none. Minnesota activists such as Winona La Duke have not gotten much media coverage. Just last week, seven activists were arrested in Duluth and it only made the echo chambers of the Green movement. I’m hoping that the ‘cooperation’ that Obama is referring to, doesn’t mean Enbridge getting its way to boost the Alberta Clipper (Line 67) and to bring that oil into our country, into Minnesota and down through Wisconsin and Illinois. Line 67 or the Alberta Clipper starts in Hardisty Canada and carries oil to Superior Wisconsin. It was permitted at 450,000 barrels per day and just like Line 61, Enbridge seeks to boost it to 800,000 per day. Then there is the matter of the switcheroo. To get around this Enbridge is taking oil off the Clipper (67) and running it through Line 3 to get it to cross the border. Line 3 is a 50 year old line with no limits to the amount of oil it can carry. When the oil crosses the border, it is returned to the Clipper, its flow unimpeded by regulations. Enbridge has achieved its goal to get 800,000 bpd into the US via the Switcheroo. All this oil ultimately ends up in Superior Wisconsin and flowing down several pipelines in the Mainline Corridor, Line 61, Line 6a, and Line 14. The Mainline also has a northward flowing line, Line 13 which carries diluent back to Canada. Now we are facing an expansion of the Mainline Corridor, with the announcement that Line 61 Twin (likely Line 66) will be built, in newly acquired easement. If you are confused, well that is what Enbridge is hoping because if you can’t put all the pieces together, it’s hard to educate the public and build resistance. So, yes rejoice that KXL isn’t going to happen but, keep in mind, the back door is open and these lines are entering Minnesota and coming our way. After all the reassurance, or should I say denial, the manure hit the fan last week when Enbridge owned up to what we knew was the truth all along. They were and are planning to ‘twin’ Line 61. We believe it will officially be Line 66, but, whatever it is baptized, it is a 42 inch behemoth again, just like its slightly older sibling, Line 61. Enbridge is stating it will carry 800,000 barrel per day but come on, they are managing to stuff 1.2 million barrels per day through the throat of its sibling so, I assume that will be their long term goal. 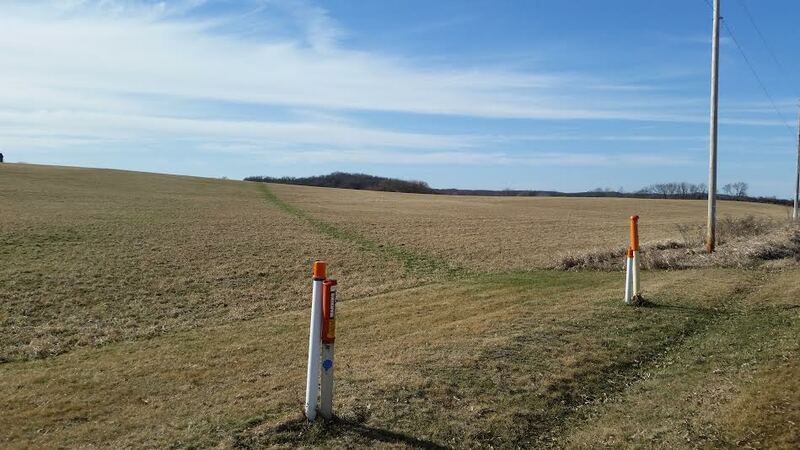 Given we have seen aerial surveys of up to a 200′ easement, we are somewhat curious as to what else Enbridge has in mind for this rather major swath of land. We have our ideas, but, we will keep those close to the vest right now, because, we don’t want to trigger another attack of obsessive prevarication in their public relations staff. Congratulations Enbridge on your conception but don’t count your chickens before they hatch, especially for twins. I have tried to hatch a few double yokers myself and haven’t had any luck, and we all know what happened to Humpty Dumpty when he got too big for his britches. The August 7th headline of the Daily Jefferson County Union entitled Firefighters Rosters Shrinking is concerning. This is a very disturbing headline at a time when the Enbridge Line 61 is being expanded to 1.2 million barrels, or 50,400,000 gallons per day. 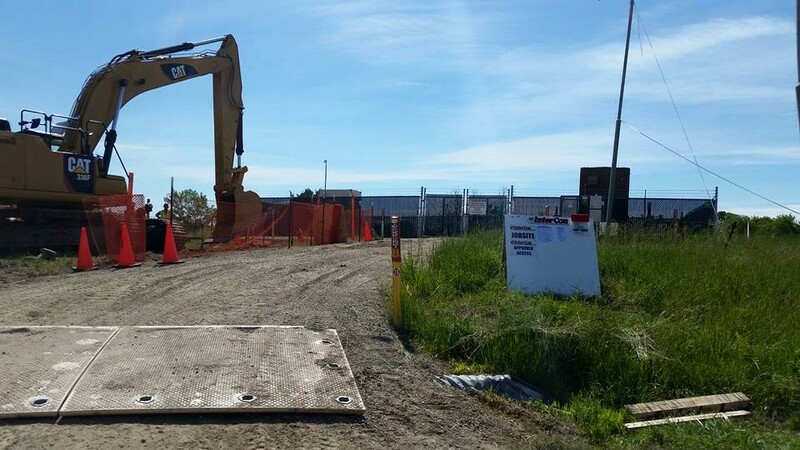 Enbridge has repeatedly reassured residents nearby the line that our fire departments and emergency response were up to the task in the event of a pipeline rupture. This story seems to indicate this is not the case, and that monetary gifts from Enbridge to the fire departments and/or EMS, in the areas of the pipeline are not sufficient to respond to a disaster. It’s particularly troubling that the Hazardous Materials Team is threatened. The oil in these lines is explosive. The pipelines contain natural gas condensates, hydrogen sulfide gas, benzene, toulene, xylene and other ‘proprietary’ chemicals that Enbridge does not feel the public should know about. In the event of a full bore rupture on Line 61, such as the one that occurred in Marshall MI, in one hour, 650,000 gallons of toxic gas will spill out along with the 1.5 million gallons of the liquid portion of dilbit. Much of this gas is heavier than air and will follow the topography to low lying areas and is less likely to disperse with the wind. We live in drumlin country, with hills and low wetlands in some areas. We also live among rivers and lakes. We have lots of dead end roads where residents will have difficulty exiting the spill area. Residents could have to traverse rugged terrain to get out of a gas filled area, maybe in the dark, without flashlights, maybe in the winter, perhaps with young children, or disabled or elderly….and now, those who we look to for assistance, our first responers, are in very short supply. Line 61 and Line 6a, which is 50 years old, both carry tar sands oil or dilbit. Line 6a is running so hot, it melts snow in the winter and glows green with grass in very early spring. We don’t have just one tars sands line, we have 2, including the world’s biggest tars sands pipeline, plus a diluent line and another crude line….and now, it looks like we may not have a Hazardous Materials Team. This concern is magnified by the fact that Enbridge has announced plans to expand the corridor in their forward looking financial statements, to include a Line 61-Twin slated to carry the highly explosive Bakken oil at a rate of 550,000 barrels per day. Then there is the matter of why the corridor is so large on their aerial survey and the matter of Line 66. What else does Enbridge plan to put in there and do we really have the resources to ensure our safety? The disclosures in this article put a lot of doubt in my mind that we can keep our first responders safe and rescue our residents in the area of the pipeline, let alone try to mitigate any environmental risk. I have been a first responder and I have a clue to response time. I also know how devoted emergency personnel are. I respect everything they do. The problem is, when you have a huge hazard like this in your community, you need a full time fire department and a Hazardous Material Team. This is not meant to insult our firefighters, but rather to illustrate the difficult position that Enbridge has put them and our entire community in. Our emergency responders are at risk, too and given Enbridge supposedly does their training, it’s a concern. If you live on the corridor, it’s time to develop a personal safety plan for your family. You can and should read the Enbridge brochure. You can also read my answer to their brochure below, with my comments made after the asterisk in italics * and really think through what your best survival strategy is. You want to stay alive and stay well. You should have received a brochure from Enbridge. If not, here is their plan, keep in mind, the snark is my addition. ***Given today’s headline, that may be a bit of an issue. Be observant of unusual sights, sounds and odors along the right of-way and immediately report anything out of the ordinary by calling Enbridge’s 24-hour emergency number for your area. ***You are once again, screwed. You are snorting hydrogen sulfide gas. ***Wait, don’t use the phone! Stand there and yell 911, or not. ***Who once again, are in short supply and we don’t know if we will have a Hazardous Materials Team. Wait! Don’t use your phone! Just stand there and yell and maybe they will hear you, or not! ***Good luck in the dark, thru the wetlands….over the thin ice as you go upwind and not downhill, carrying your three kids and towing your two dogs and three cats, and good luck making those emergency phone calls. ***Keep in mind it took 17 hours in Kalamazoo—that gas may do you in and once again, those poor mutual aid emergency responders may have quite a drive to get here. ***unless you have to run for your life due to spewing oil, loud hissing noise, or lack of breathable air. ***Yeah, like you are thinking about this. ***Who, once again, may or may not arrive because we don’t have enough of them because we have volunteers who are barely paid and they have to work jobs and they may not be at the fire station. ***But don’t turn it on, it makes a spark. Just sit there look at it and lip sync directions. ***Which may arrive sooner or later, probably later, because we don’t have a full time fire department and we are short on volunteers. ***Yay, they got one thing right. Hope it doesn’t take 17 hours. *** After reading today’s headline, I’m pretty terrified for folks. ***Yep, like you say, it will be cleaner than it was before…. The fact is, most of Enbridge’s plan relies on our local emergency responders. Most of our local emergency responders are volunteer. Due to the economy, many of our eligible volunteers are working far away. It’s very hard to staff emergency services, especially during the day. It’s hard living your life on call, as well. Things have changed and our economic and social situations don’t allow for able bodied people to be available to staff daytime openings in our emergency units. Never the less, we have 4 dangerous pipelines which could at any time, rupture. Not to mention, bomb trains. Maybe it’s time that Enbridge starts paying the bill to guarantee our safety. Fund a full time paid fire department in every town along the line and Hazardous Material Teams in each county. It’s the least Enbridge can do since you stuck us with this mess so you can make profit. Enbridge, you can keep the Ford F150s. If any readers are inclined to want more information or to join our resistance, yes, RESISTANCE (because what is going on is just plain wrong), ask to join Brave Wisconsin. The Dane County Zoning Board fought valiantly to protect the people of Wisconsin, so, what did our legislature do? They undermined local government, figuratively tied them up, gagged them and locked them in the dungeon, so they could not continue to voice their concerns for the health and safety of our people. Yep, that is what your state legislature has done for you Wisconsinites. PLUS, they decided that foreign companies should have more of a right to your American land than you do. Not to mention, they were so lazy that they let Enbridge write the legislation. What integrity! I’m sure our forefathers who fought the corporate powers of the British Empire, would be proud….not really, the poor guys are rolling over in their graves. I am waiting for legislation which induces me to give quarter to Enbridge employees and contractors, while they are on the road, or when they descend upon us to ‘fix’ the next big catastrophic oil spill. Perhaps next, they will legislate my first born into indentured servitude in their cause. OK, perhaps I am being ridiculous, and taking this too far in jest, but, this legislation was beyond ridiculous. It is the antithesis of what it means to be an American, unless, we as a nation have just changed so much, that we are fine with this. It seems that people are so busy with working 3 jobs and watching reality TV and fake news, that politics just isn’t in the picture. Maybe they feel there is nothing they can do? Maybe it doesn’t directly affect them now, so who cares? Maybe they think that God doesn’t mind that we trashed the Garden of Eden because he put it here for us to do with as we wished, except for eating from the tree of knowledge, because knowledge is a bad thing? This all stems from Citizen’s United one of the WORST EVER rulings by the Supreme Court. It’s so bad, the judges who ruled in favor of it should be tried for treason and so should our state legislators, who took advantage of an evacuation for a bomb threat to get drunk before they went in and passed this horrendous budget containing provisions to strip our local control and to assist foreign powers to use eminent domain, among other egregious provisions. We are asking Dane County to take a stand and revoke Enbridge’s permit for the pumping station. This is a moment in history. It could be a big moment and I intend to be there. It could be a blip, but I guess that depends on all of you. It’s a small step, wading into the swill of what has become our new American form of government since Citizens United. Join us in that first step. URGENT CALL TO ACTION— REVOKE THE PERMIT! As you know, Enbridge lobbyists succeeded in inducing Walker and the Republican legislators to enact a last-minute amendment to bar counties from requiring pipeline companies to obtain environmental cleanup insurance. Such insurance is absolutely essential if Dane County’s farms, property owners, wetlands, and taxpayers are protected in the event of a disastrous tar sands spill by Enbridge. The County Board has taken the Enbridge appeal off the agenda for tomorrow’s meeting and issued a press release stating that this 11th-hour Enbridge-friendly provision prohibits it from enforcing its precedent-setting insurance requirement. We disagree. We think the County Board needs to stand up to Enbridge, and we’re calling on you to help them do just that! Please come to the Dane Co. Board meeting tomorrow night as planned. Although public testimony will not be taken, DO come and be part of a powerful visual show of force by the climate action community. 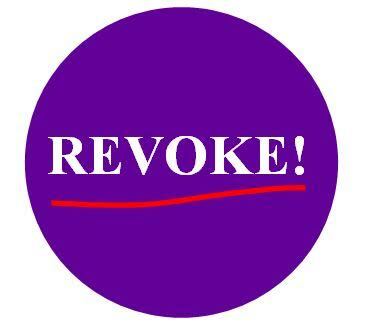 Join us in a demand to revoke the permit! For our pre-holiday enjoyment, the GOP dropped yet another bomb on the citizens of Wisconsin. Besides Motion 999’s effort to get rid of our open records tradition, the motion also sports, provisions 51 and 55 placed in the new budget, allowing for ‘business entities’ to use eminent domain on landowners, and to usurp local control. Specifically this relates to the placement of additional pipelines, likely the placement of Line 66 or the Line 61 Twin, which Enbridge announced in its forward looking financial documents. We are aware of surveying being done to enlarge the easement for an unspecified number of future pipelines. The survey indicates this could involve a substantial increase in the size of the corridor. When Line 61 is carrying to capacity (which could be shortly) the total capacity of the pipelines currently in the Enbridge corridor, will amount to 100,800,000 gallons daily, passing through Jefferson and neighboring counties. A spill from Line 61 alone, could spill 1 million gallons in a half an hour. Understand that these lines carry an unprecedented amount of petrochemicals and yet Enbridge is seeking to enlarge this. Clearly these provisions were written for Enbridge, possibly by Enbridge, as it seeks to turn Jefferson County and our state into a petrochemical superhighway. Enbridge is a limited partnership, and yet they want to bar local governments from requiring them to have liability insurance to insure our communities in the event of a pipeline disaster. Enbridge has had over 800 reportable spills in the last 10 years. 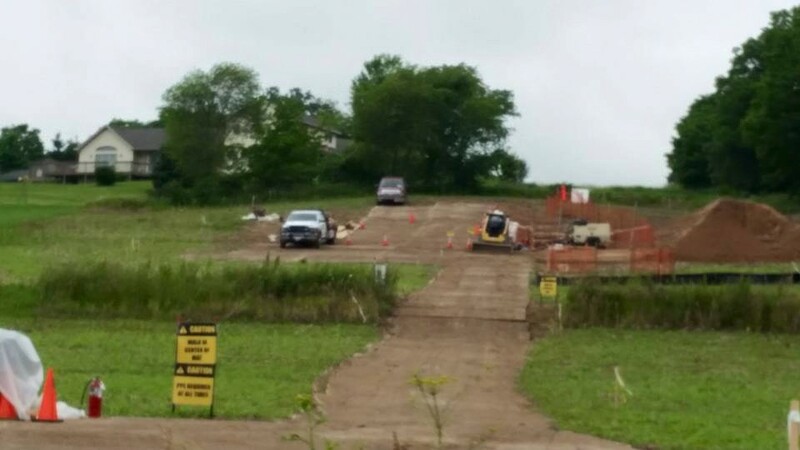 They claim to have adequate funds to restore the landowner’s property in the event of a spill, yet many who have been harmed in the past, such as in the Marshall MI spill, claim not to have been made whole after the disaster. This provision changes the wording of the law from a ‘corporation’ to ANY oil related ‘business entity’ having the right to use eminent domain. This oil is bound for foreign ports. Enbridge is seeking to get the Alberta tar sands oil and the Bakken oil and gas from North Dakota to ports for sale to countries with industrial economies, such a China and India. Jefferson County residents stand to suffer greatly if these provisions are made into law. All of the risk of a pipeline disaster is being transferred onto our people and we have nothing to gain. For the rest of us, our local democracy, land, water, rural character and community reputations are at risk. Please call or email your local legislator and let them know this isn’t democracy. It’s a sell out of our American principles to foreign interests. Follow us on Facebook. Ask to join Brave Wisconsin. I have been watching the digs along a beautiful country road, west of Lake Mills, in my neighborhood. If it wasn’t a dead end road, it would be a ‘rustic road’, it’s that pretty. Unfortunately, this road sits on the Enbridge pipeline corridor and is therefore subject to be torn to shreds whenever the multinational giant decides to bring out its earth gnawing equipment. What you see is a temporary road, going uncomfortably close to this home. It makes me wonder how Enbridge plans to fit in that additional easement into which it plans to insert a vague entity called either Line 61 Twin or Line 66. Looks to me like it could go through this home’s kitchen. Given that PHMSA (Pipeline and Hazardous Materials Safety Administration) has deemed that homes should be 1000 feet from the center of a corridor that does not have pipelines that carry heavier than air gas, it would seem, this home is far too close for the current line, let alone a new line which is going to be south or west of this corridor. PHMSA has not come down with a safe distance, other than something beyond 1000 feet for lines, such as these, that do carry heavier than air gases, such as benzene and hydrogen sulfide gas. 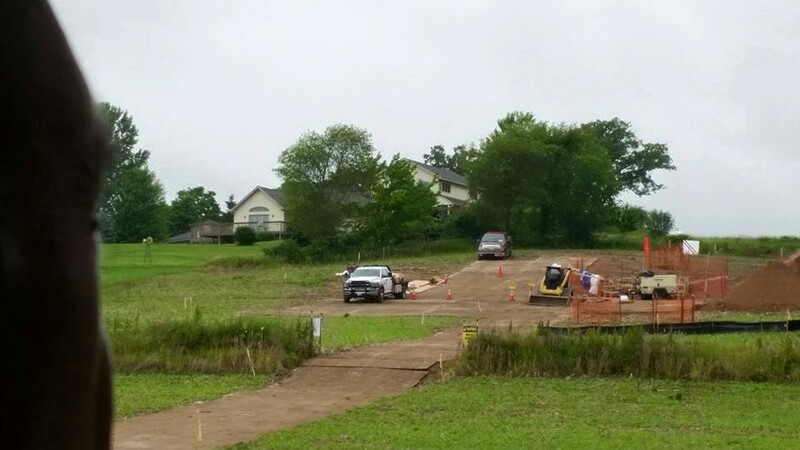 This dig is simultaneously going on near a heron rookery outside of the small city of Fort Atkinson near the Rock River and Lake Koshkonong. By the way, Wisconsin Tar Sands Action Coalition, has become Brave Wisconsin on Facebook. You can join us for updates.